I began my pursuit into the exercise industry firstly as a personal trainer in the UK in 2011 after feeling inspired to gain a PT qualification during rehabilitation to a knee injury. I was lucky enough to be treated by a physiotherapist who used a mixture of fun, challenge, concentration and experimentation. I loved her classes and immediately wanted to learn more about the body in movement. Upon completion of my PT certification I got stuck in and worked in a prestigious gym close to my hometown teaching spin classes and private sessions for clients who had a range of goals from completing a long distance 'fun run' to gaining enough standing balance to holiday on a choppy cruise liner. Over time I noticed that simply performing cardio or weight lifting movements was not quite enough to sustain an injury free, happy body and mind. So as my exercise approach became more holistic and foundation work focussed, I took to Pilates, gained qualifications in the method, and never looked back. I now teach variations of the Pilates method full time and through education, hope for my clients feel the benefits of movement and breath not only in the studio, but also in their daily lives. I approach my sessions with kindness, tailor each one to meet my client's needs and hope to encompass that balance of fun, challenge, concentration and experiment, just as my physio had done with me all those years ago. I've always seen Pilates as a great way to tone and strengthen your body without the impact of other forms of weight bearing exercises. Shortly after becoming a Group Fitness Instructor and Personal Trainer I decided to do the Pilates Instructor course, I saw this as a great opportunity to immerse myself into this amazing world and understand better the human body, its coping mechanisms and how we can help to repair and heal ourselves. The glute stretch is one my favourites stretches as my glutes occasionally get very tight. Also I love the hinge exercise as it strengthens and stretches the quadriceps at the same time. I unfortunately used to suffer from terrible lower back pain, it all started in my late teens and I could never figure out why and what I had to do to make it stop, then with age comes more clicks and cracks and I'd still feel helpless. When I attended my first Pilates class I was blow away with how gentle but highly effective the exercises were to strengthen, tone and improve posture. Pilates has allowed me to understand some of the causes of muscle imbalances I have developed through the years and what to do in order to achieve a more balanced body and improved posture. Personally I feel much stronger and way more flexible by adding Pilates practice into my routine and definitely encourage everyone of all fitness levels & age range to practice Pilates and have more quality of life by building stronger bodies. I like to describe myself as a body-nerd and anatomy-geek. In the mid-1990's I left behind a career in computer science to become a massage therapist, and eventually, myofascial bodyworker. 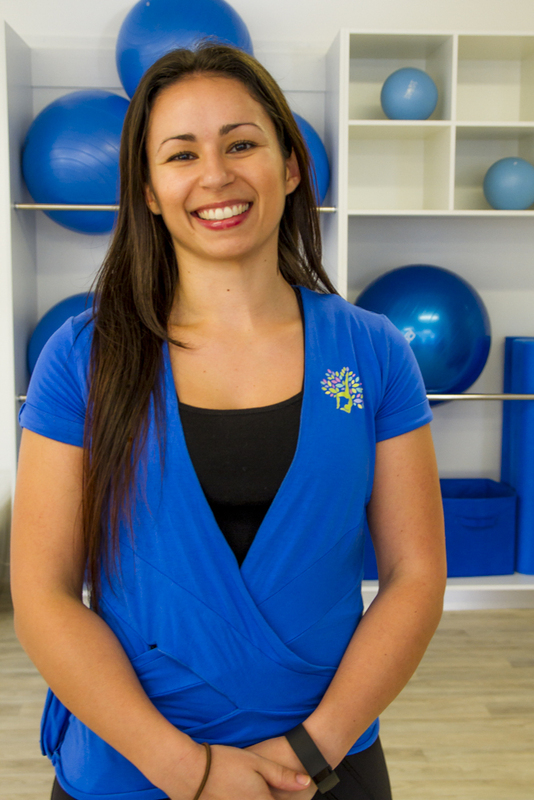 During my initial massage training I first encountered Pilates in a class excursion to a Pilates Studio, perhaps the only Pilates studio in the city where I was living (Canberra) at the time. Though it seemed intriguing I didn't really act on that introduction until 2000, when a friend described Pilates as being like a "scientific form of yoga" and suggested I try it. I began to take apparatus-based classes at a small private studio located in a nearby suburb, and found the methodology really resonated with me. Up until that time I had no real interest in exercise aside from walking and the very rare bicycle ride. In Pilates though, I could really "feel" my muscles working and the explanations my teacher gave me about the purpose of the exercises made sense. The first big benefit of Pilates came during the time I took those classes (over an approximate 18 month period) with the complete disappearance of the lower back pain I had experienced most of my adult life! My next encounter with Pilates came in 2003-2004 when a basic "pre-Pilates" teacher certification was included as part of a structural bodywork program I undertook to further my massage career. Though I didn't directly use that certification at the time, the information I gained influenced my thinking about movement, including how to teach yoga (I obtained a yoga teacher certification in 2008). Injuries sustained from a yoga practice heavily focused on extreme stretching, plus exposure to other styles of movement practice, including Pilates, caused me to evolve my yoga teaching away from the more traditional flows commonly found in yoga, to a style centred around functional movements that cultivated strength and mobility. It wasn't until 2016 though that I found my way back to Pilates. Watching my yoga students over many years made me realise that nearly all could benefit from a more structured program that would help them create strength along with healthy mobility. Many people are drawn to yoga because they enjoy the stretching aspect, but stretching which is not balanced with strength work can lead to joint instability, overall weakness, and eventually injury. The external resistance offered by the various forms of apparatus used in a Pilates studio is perfect for teaching movement that strengthens the body while safely stretching out tightness. It also has the added benefit of greatly improving one's overall sense of body awareness (proprioception). Continuing my Pilates exploration of the past few years has helped me significantly improve my posture (I used to be be very rounded through my upper back with forward head position) and resolve other issues such as the SI-joint pain that arose early on in my yoga practice. It has also helped me understand the many muscle, bone, organ, and connective tissues inter-relationships within my own body plus others I help. A favourite quote I have from the world of movement and bodywork is, "Where you think it is, it ain't" by Ida Rolf, an early pioneer in the field of structural bodywork. What it means is the aches and pains we find in the body many times originate elsewhere. For example, pain in the knee is often the result of weakness in the muscles of the hip. Pain in the hand or wrist is often the result of nerve compression in the neck or shoulder region. The brilliance of Pilates is that it deals with the body in a wholistic manner, strengthening and mobilising from head to toe, leading to a resolution of many of the issues that cause us discomfort. If someone wants to start a Pilates practice, I think three important points to remember are consistency of practice, patience, and curiosity. Practicing Pilates several times a week, week-in, and week-out, will bring significant progress over time, and much more so than the occasional class here or there. Patience is also important, as it takes time to re-educate the nervous system and establish better movement patterns as the "default". It is better to enjoy the journey and notice the incremental improvements, rather than to try and force change. And finally having a sense of curiosity about your body, how it works, will lead to a deeper appreciation of its marvellous design and architecture. I encourage everyone to give Pilates "a go" and become a "somanaut", an explorer of their body. Pilates is not merely an exercise regimen, but a collaborative project between instructor and student to unwind dysfunctional patterns and replace them with new options that bring about a "new normal" way of being that is strong, resilient, pain-free and able to fully participate in life and its many opportunities.